Elk River hockey head coach Tony Sarsland says he has reversed his decision to resign as hockey coach of the Elk River High School boys hockey team amid an investigation by the School District. 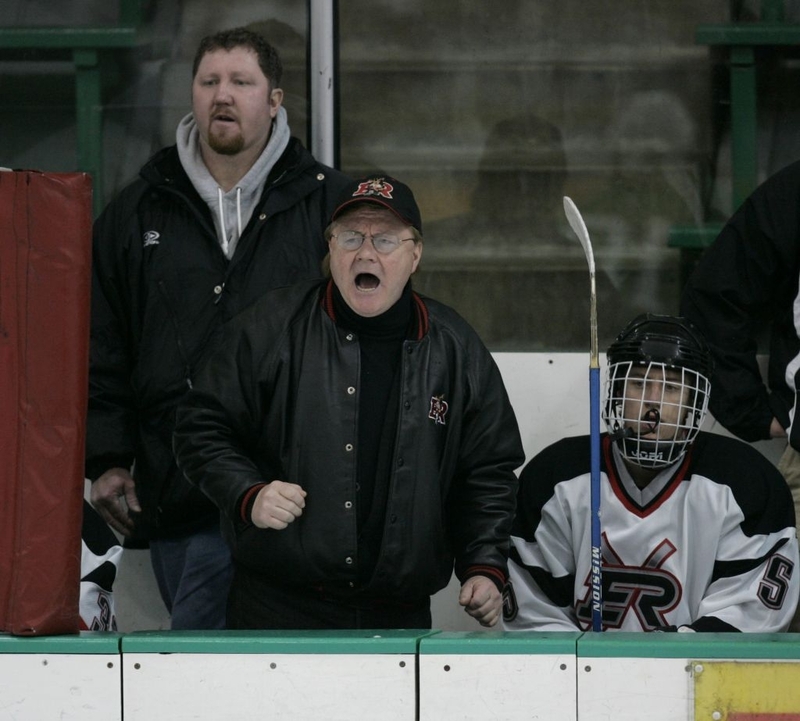 Tony Sarsland said Thursday that he has reversed his decision to resign as head coach of the Elk River High School boys hockey team amid a closely guarded investigation by the School District. Sarsland, through an e-mail issued by his attorney, also said the district quickly took him off of paid administrative leave from his teaching position at VandenBerge Middle School. He said he has been back in class since Monday, ending the leave that began last Friday. Attorney Patrick B. Moore's e-mail said that the district has accepted Sarsland's reversal of his coaching resignation. However, the district said Thursday night in a statement that Sarsland remains on paid leave as a coach even though he returned to teaching on Monday. Neither Casey Mahon, as spokesman the only person the district has allowed to speak publicly about Sarsland's case, nor Sarsland's attorney have disclosed what prompted the investigation. Phone messages left at Sarsland's home for several days have not been returned. The district has yet to say whether it will at any point grant Sarsland's request to rejoin the team. The Elks wrapped up their regular season Thursday night against visiting North Metro ahead of playoffs next week. Even though the distict won't say whether the the investigation centers on Sarsland's role as coach, its staff interviewed up to 20 hockey players as part of an investigation that began last Monday. The district has not disclosed who else may have been interviewed. In an e-mail informing the team's families of Sarsland's initial decision to resign, the district said their sons would be interviewed about "complaints that we have received against Coach Sarsland." Junior varsity coach Ben Gustafson has been coaching the team in Sarsland's absence, starting with the Elks' upset victory over Maple Grove on Saturday. After the game, the team visited Sarsland at his home. A parent of one of the players said the boys want to celebrate the big win with Sarsland. In the past 15 seasons, the Elks have earned six trips to the state tournament -- winning it all in 2001 -- and claimed 12 conference championships. But in Sarsland's nearly three decades at Elk River, the program has been under the microscope for everything from the coach's ability to control his anger, to the players' rough style of play to accusations of recruiting. Roseville Area Schools said Thursday that it is investigating a complaint about boys' hockey coach Jeff Pauletti and assistant coach Carl Hamre. The district, in a one-sentence statement, did not disclose the nature of the complaint. Pauletti said Thursday that the district had advised him not to comment. He said the investigation "has nothing to do with"' physical or sexual abuse and emphasized that police were not involved. Hamre said late Thursday that he was "confident that none of the complaint or allegations will be substantiated in the end." Pauletti, who became Raiders coach in 2004, and Hamre are continuing to coach the team. The Raiders play their next game Saturday night. Staff writer Paul Klauda contributed to this report.